Yeh? Well I could be home watching 10 TV channels of grown men playing base ball, foot ball, basket ball, golf ball, tennis ball, and socker ball!! Is it your turn to guess ?? Is it time to think nanotechnology ?? 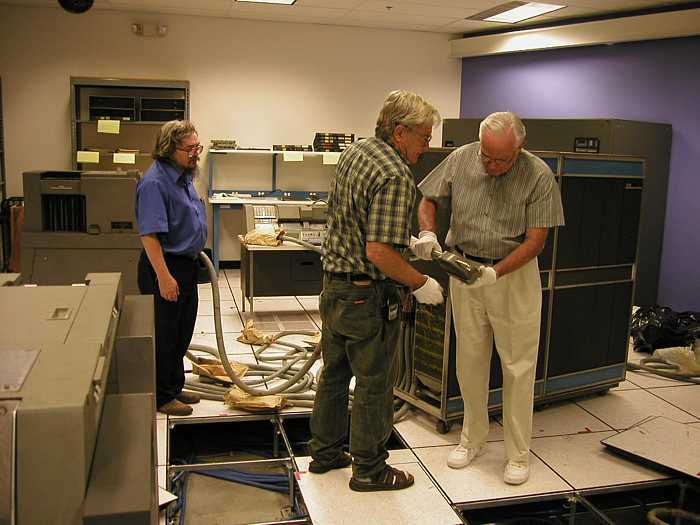 June 9, 2004 - 1:00 - Ed and Mary start to copy IBM 1401 11x17 manuals. June 11, 8:30 AM! - About 7 grizzled 1401 experts, (not me!) and Mary, showed up to begin the long process of inventorying and accessioning the 1401 docs, cards, and tape. "Let's gather and roll up some sleeves and have a little party." Wednesday Aug 18th, 2004 - from Robert Garner, 1401 all-hands meeting, 11am to 1+pm, Everyone is welcome to attend! 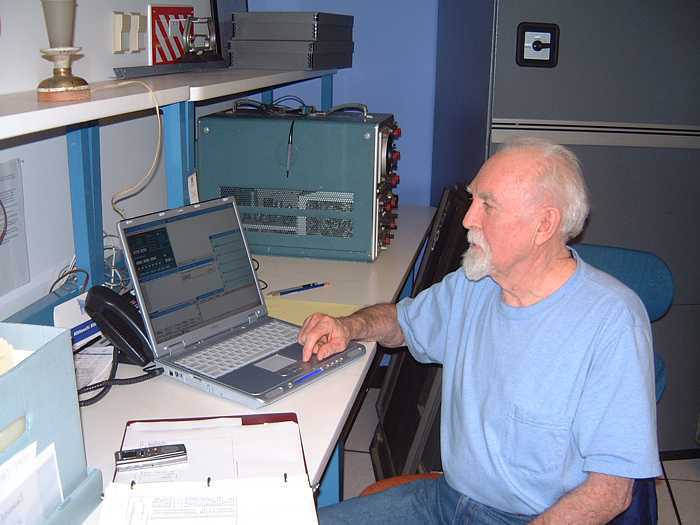 Robert Garner brought a capacitor checker, it agreed with the existing method used by LaFarr and Don Cull:-)) Robert also brought an adjustable 300 watt load for load checking power supplies. Floor tiles arranged to use existing cut-outs, 15 uncut floor tiles would be nice, 25 would be perfect. Group examined 1402 for non-standard field changes. 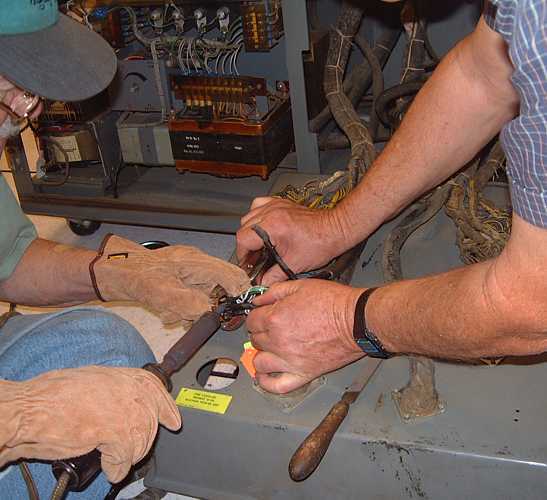 Ron Williams and Bob Erickson have all 1401 fans working, ready to start checking power and control circuits from 1402. Frank King looking for 1403 CE documents. LaFarr Stuart is trying to con Milt Thomas that this is on the up&up. Ron Williams is at least *trying* to smile. Some people have trouble meeting/working Wednesdays. Ron Williams reported that about 5 people showed up - a mostly different group than the Wednesday group. Bill Flora brought a 1402 service document. 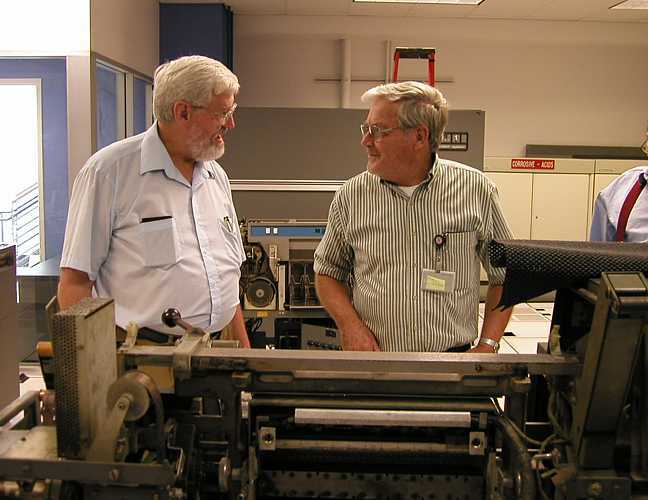 Ron Williams and Bob Erickson "rang out" some connections between 1401 and 1402. 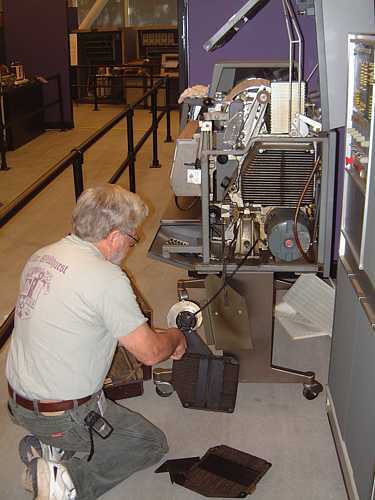 Don Cull found reason a timing belt had been broken in the 1402 - punch timing wheel jammed. 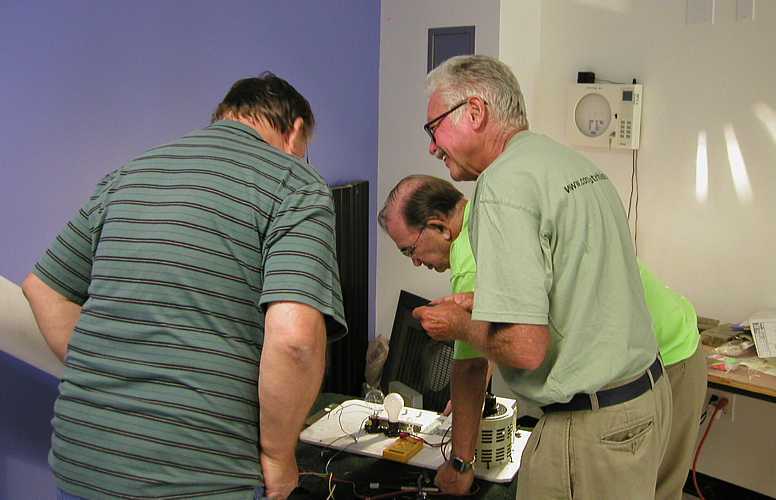 Glen Lea and Ed Thelen did bench testing of 140x power supplies. Two verified for full rated power to load so far :-)) 6 volts head-room 1 volt ripple on filter capacitors, regulation ripple well below specs as per Ron Williams. We need 1402 parts exchange permits soon. 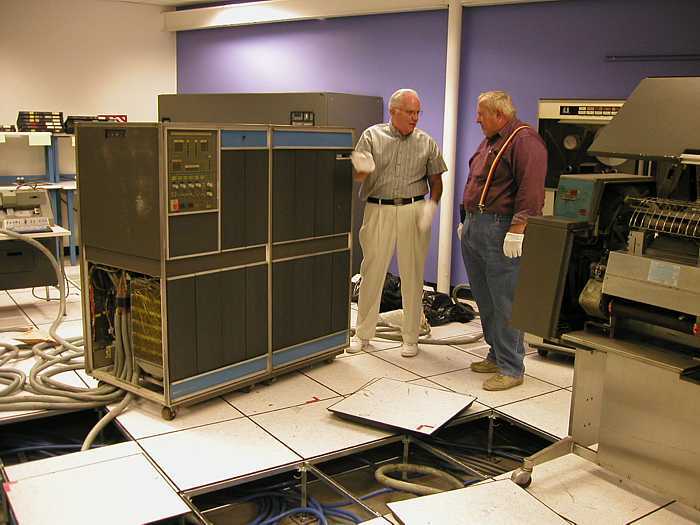 The Elgar 5 Kva 50 Hz power unit, gift of IBM San Jose, is now in the 1401 room!! 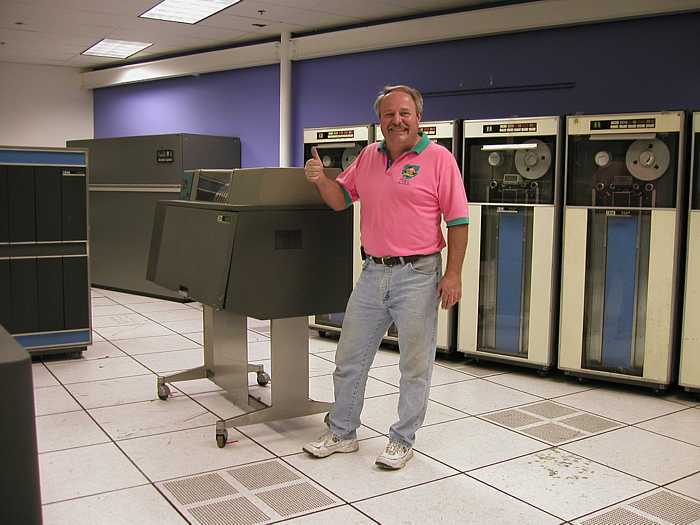 Dave Bennet of IBM helped secure the unit. 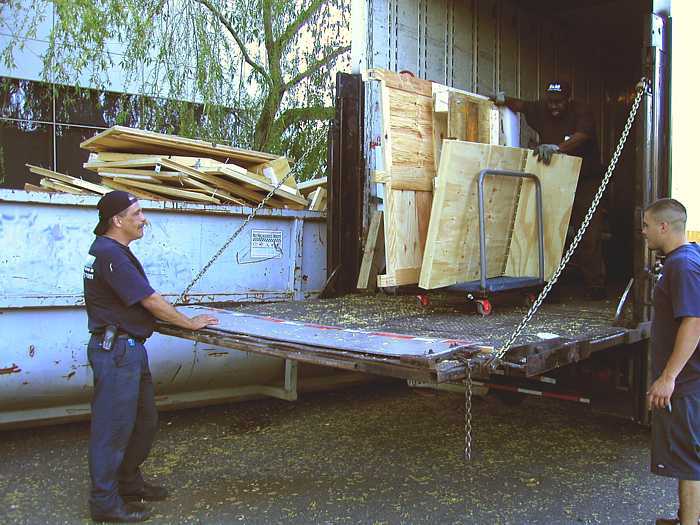 Robert Garner and Ed Thelen moved it. CHM volunteer Mr. Yee of Frank Electric will connect it to building power? 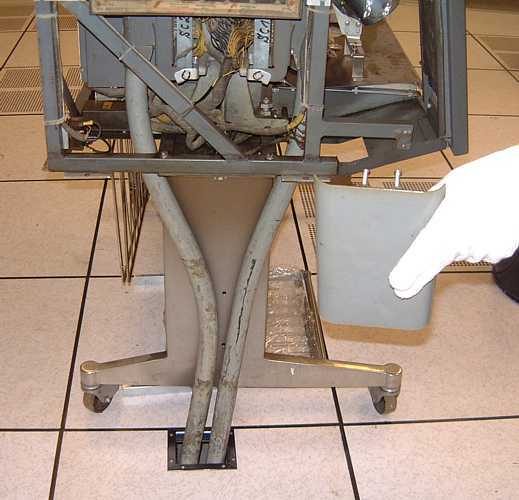 Dag Spicer gave verbal sign-off on e-mail requests for parts swap with 1402 in Visible Storage. Bill Flora inserted pictures of requested parts into 1402 log book. Frank King (back from Burning Man) continued 1403 activities. 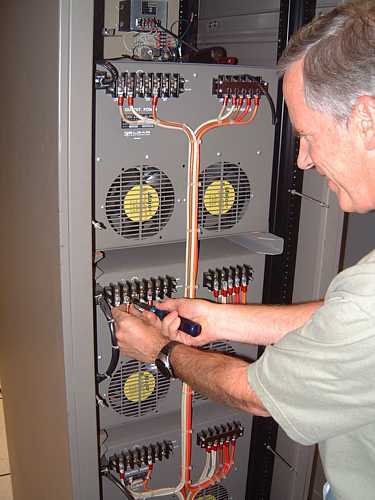 Ron Williams and Don Erickson installed 3 checked power supplies into 1401. 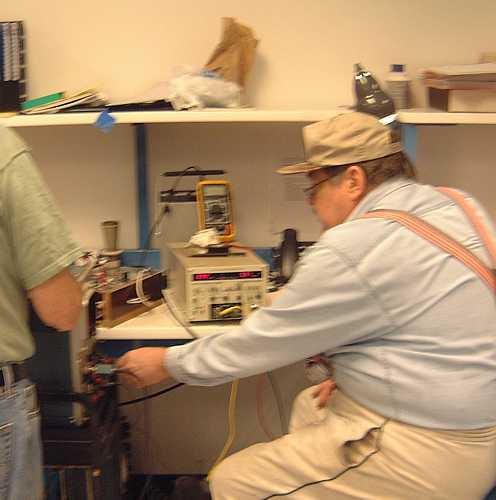 Ed Thelen and Dan McInnis continued checking others at full rated load - one capacitor oozes, seems to have a failed expansion plug - to be replaced. Frank King prepared to swap 3 rusty 1403 parts with visible storage, but the visible storage machine is a different model and the parts are not interchangeable! Grant Saviers will work on these rusty parts. We "borrowed" a cable clamp from visible storage machine. 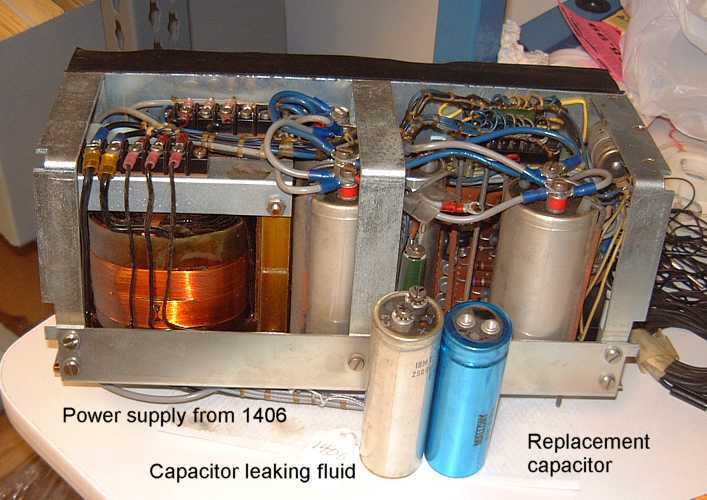 Ed Thelen changed out a power supply capacitor that was leaking fluid. 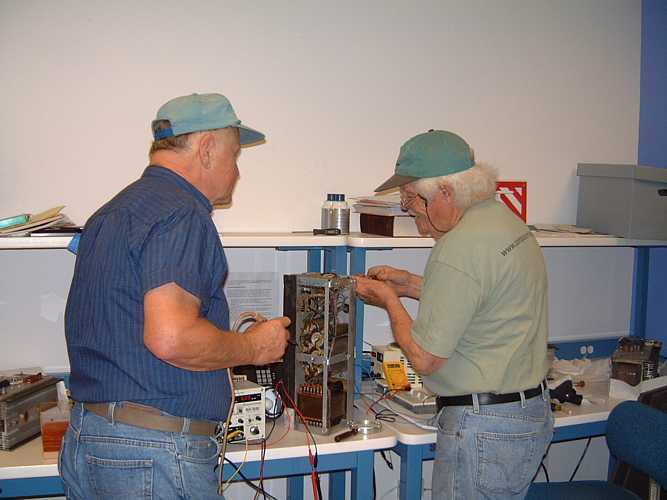 Bob Erickson and Ron Williams found a shorted pass transistor, type 108, in a failed power supply and removed it leaving three good pass transistors - good enough until we get a replacement. 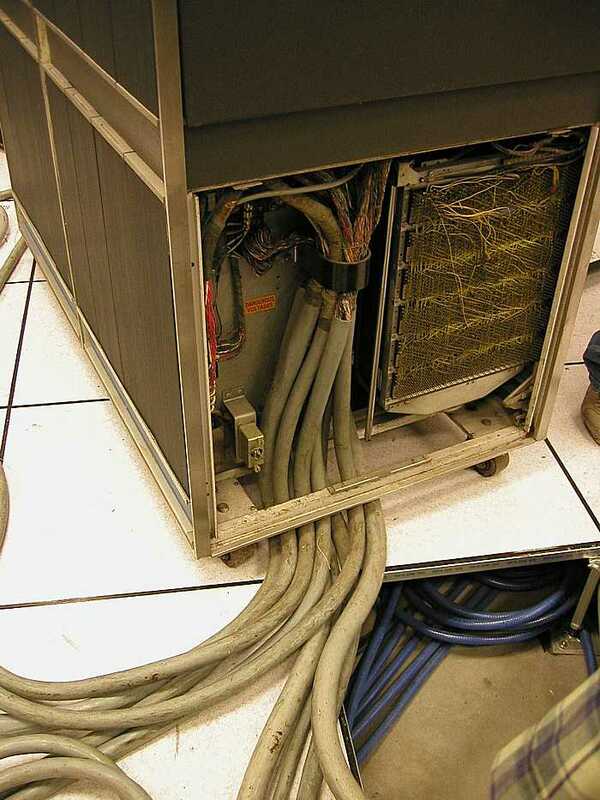 The next failed power supply does not regulate - the output remains 1/3 of the filter capacitor voltage. Probably need an external +6 volt connection (power sequencing) to make it behave - the schematic shows a 6 volt optional input. "Next time :-))". a proper "wall plug" and power cable to the 1402. See 1402 Power Input Plug Discussion for current situation. power to the 1402 to continue power up check out. - Jim Yee (museum volunteer electrician) said he could meet with the 1401 crew about power hook-up. Frank King, Ron Williams, Bob Erickson and I came in to meet him. A plan was worked out to connect wall panel, Elgar 50 Hz unit, 1402. The authentic 1402 power plugs cost about $500, we are settling for 1/10 that. The derusted painted 1403 parts from Grant Saviers were re-installed. More wiring in the 1402 was checked, did not match some drawings, but the drawings seemed incorrect (the same circuit should not be named 30 volts and 12 volts?). We spent several interesting hours trying to smooth a spare 1403 chain and housing - wild stuff ! A complex week, see report here. - Remove German jumpers, restore to original schematic. 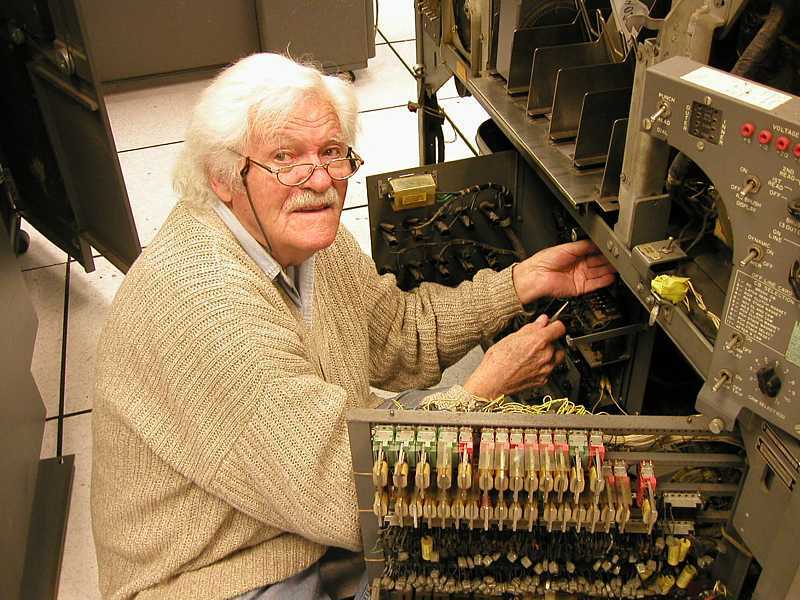 Tim Coslet said that the IBM 108 power transistor Bob Erickson installed Wednesday was from an IBM power supply he rescued from a land fill when he was in high school. Wednesday October 13th 2004 - "roll-up-sleeves" - 10 AM to ~ 3 PM see fun activity report and challenge and original challenge . 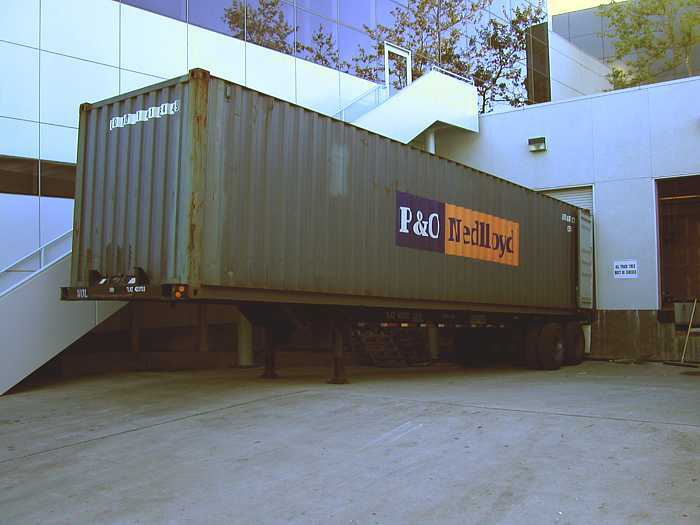 Wednesday October 27th 2004 - We're ready for our next 1401 restoration project, all-hands, sync-up meeting! - 1403 - Frank King back from vacation ! - 729s - Allen Palmer back from vacation ! Restoration pledge - two person minimum for safety! 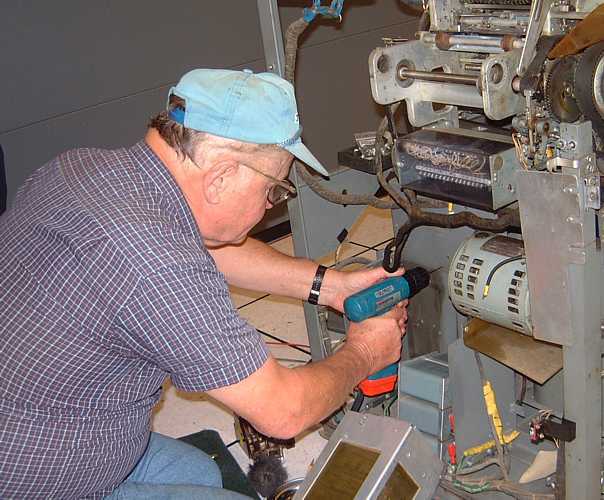 - see Dag's Power Point Restoration Presentation. Click "BACK" to return here. - turned the chattering/sparking 1401 ON and OFF enough to satisfy Tesla. No report offered because the results too confusing. such a good-natured and gracious octogenarian! I hope my brain is still as sharp when I'm up there..."
Saturday Nov 6, 2004 -work and show 1401 restoration to Vintage Computer Festival ;-)) About 8 people showed up and worked on various things, including more measurements of the Elgar supplying the 1401 system, (phase B spike continues even when supplying outside power to the main contactor. Robert Garner will call Elgar Monday), visited with VCF guests, and enjoyed the "VCF". Found Elgar missing neutral (jumpers) causing reduced efficiency. Continued 729 restoration. Wednesday November 10th 2004 - Ron Mak says "Kick-off meeting of the 1401 software team"
"Action"?? Watching a clock count hours?!? Yup! Elapsed time meters such as this produced revenue for IBM from 1401s and other IBM products on lease or maintenance. You had a 1 shift lease, or 2 shift lease, or some other arrangement - and this meter kept watch on customer run time. The right hand side is CE run time. Another meter kept track of power on time. 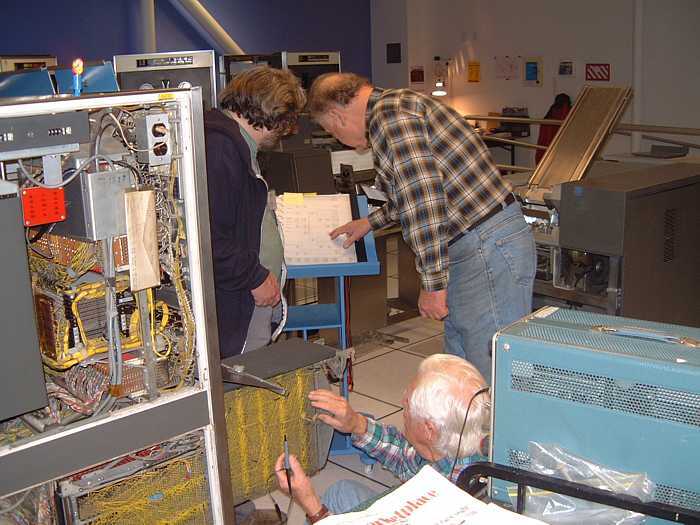 Wednesday November 17th 2004 - 10 AM - Milt Thomas, Bob Erickson, Glen Lea inventoried SMS cards - got just about done. Wednesday November 24th 2004 - holiday! Allen Palmer, Frank King and Chuck Kantmann decided to work on the 1401 as usual :-)) I was showing Nathen P. Edwards, mentioned several times in the book "IBM's Early Computers", around. 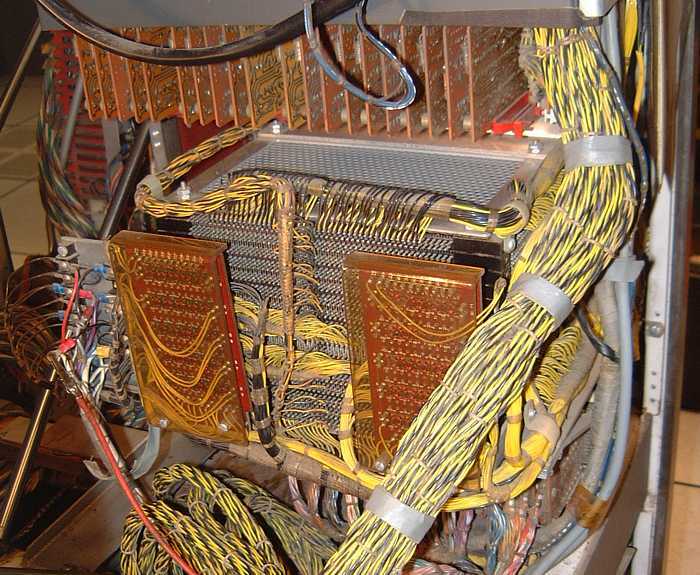 This is the main core stack in the 1401 itself (there is another in the 1406). Note the larger cores in the red areas - these are switch cores to help reduce the numbers of high power transistors necessary to drive the 1/2 ampere half select currents to the main core stack. Later transistor developments and cost improvements made the use of switch cores less useful. Saturday November 27th 2004 - holiday! 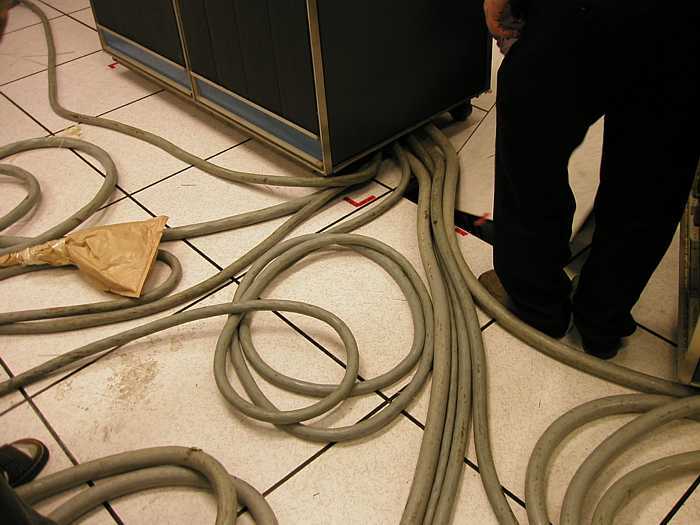 Jim Yee installed larger circuit breakers and wires to Elgar. Power should be available for hours instead of seconds. Robert Garner, Ron Williams, Bob Erickson, Don Cull, Milt Thomas, Glenn Lea and Ed Thelen were present. SMS card inventory completed. Moldy card boxes removed, cards now in new boxes. Paula showed us the 1620 documentation room which the 1401 team is moving into. Holes punched for 4 Automated Logic books. 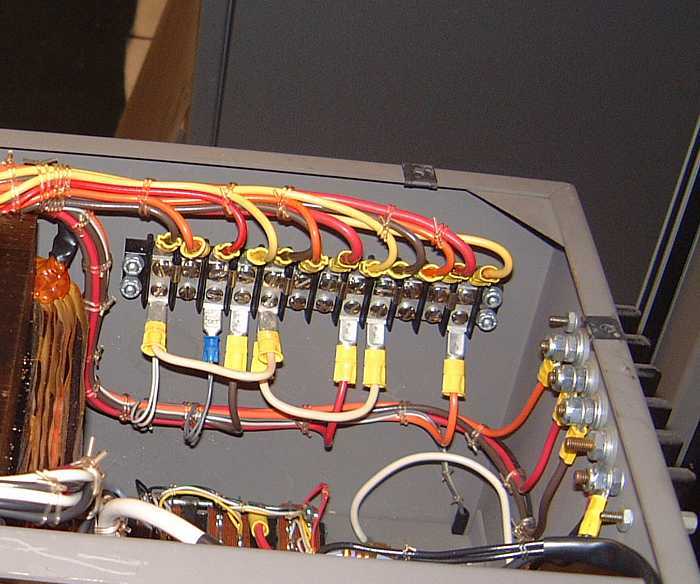 Jim Yee has installed larger 3-phase circuit breakers and larger gauge wire to the Elgar power converter. :-)) We should/DID have power for hours :-)) The following people were present - -Frank King, Bill Flora, Ron Williams, Milt Thomas Bob Erickson, Robert Garner, Allen Palmer, Glenn Lea. 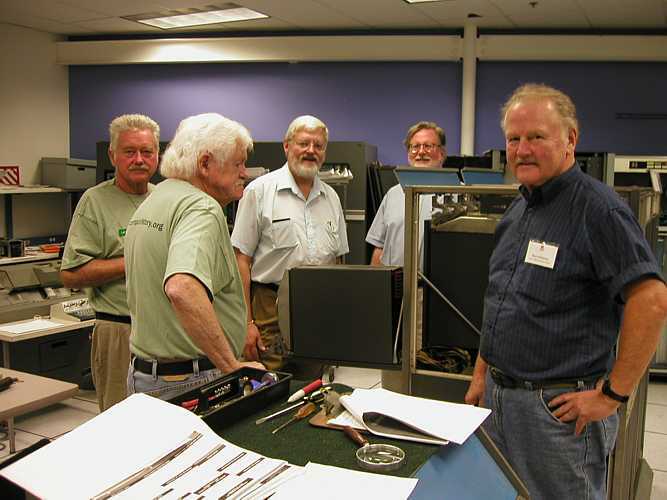 Present were: Allen Palmer, Tim Coslett, Bob Erickson, Ron Williams, Robert Garner, Ed Thelen. More discoveries on the power situation. 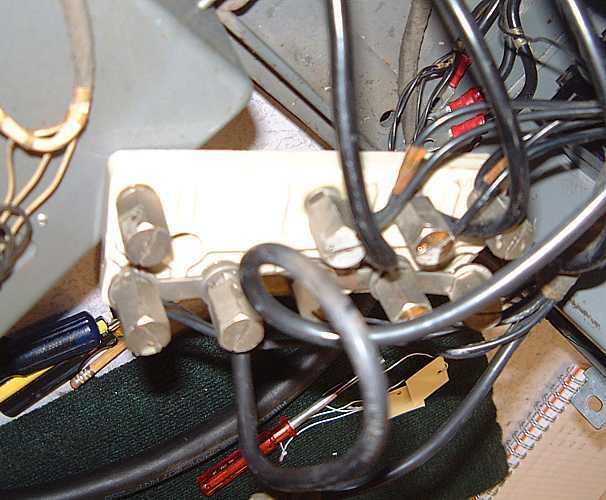 The main contactor in the 1402 needs 50 Hz, during bring up it was on a 60 Hz temporary circuit and did not close reliably. 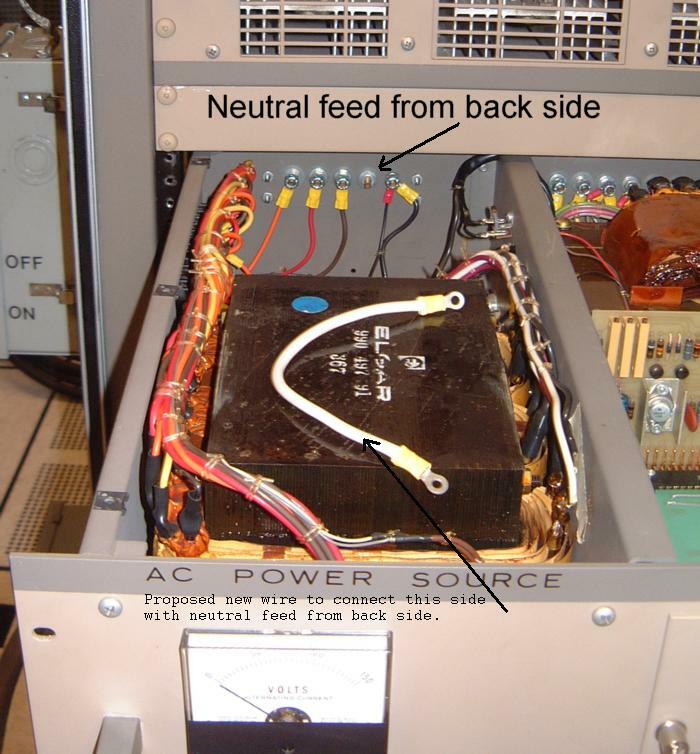 The power supply in the 1st 729 tape unit has been re-installed after checking capacitors and performance. The glitch in one phase is still present. Wiring schematics for 1403 have not been found. Present were: Bob Erickson, Ron Williams, LaFarr Stuart, Ed Thelen, Milt Thomas, Glen Lea, Dan McInnis. 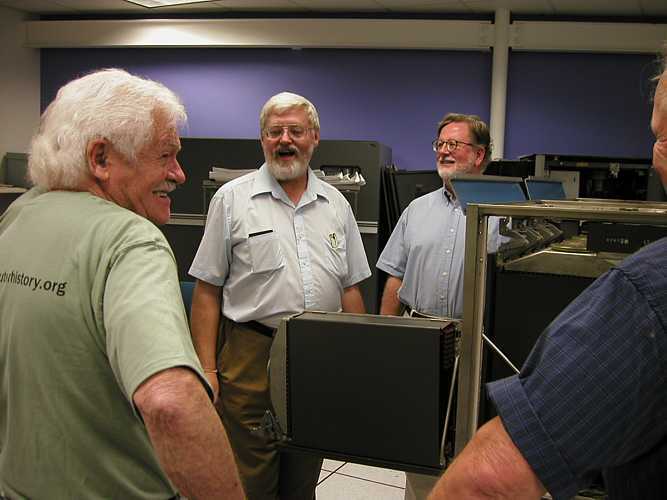 Dan McInnis gave Glenn, Ed and LaFarr a tutorial on his discoveries of making the 1401 simulator at http://www.members.optushome.com.au/intaemul/Emul1401.htm to work. It took Dan about 2 months of patient investigation to find sufficient operating rules to make it useful. Ron Williams and Bob and Milt discovered several things - including why the operator's panel lights were so dim - someone had painted to back of the plastic panel white, obscuring the lamps. 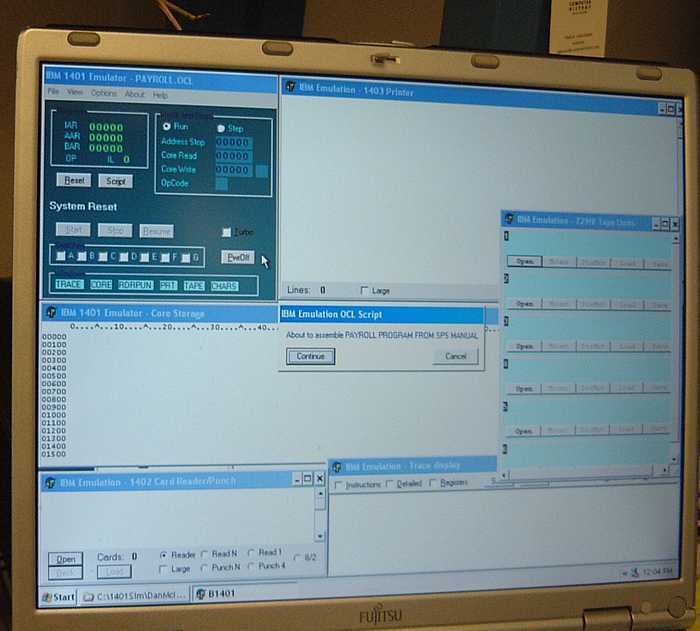 A screen shot of the above simulator. 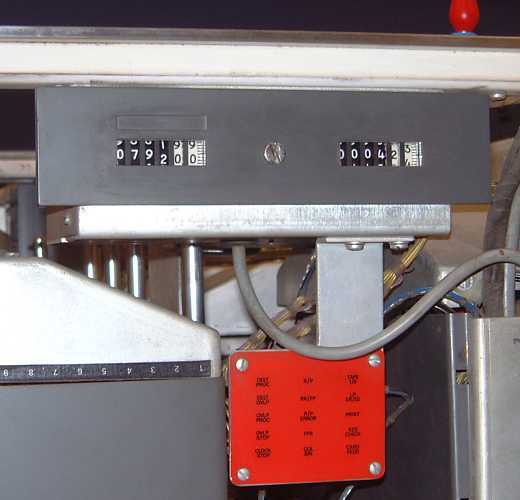 Note the card reader hopper, printed page, card punch hopper, and various controls. There is no particular effort by this simulator to emulate the actual 1401 console.